Description: Kepak Group is one of Europe’s leading food innovators which processes and markets a full range of meat proteins in varied formats and presentations. The Group is made up of three strategic business units; Kepak Meat Group, Kepak Convenience Foods and Kepak Frozen Division. 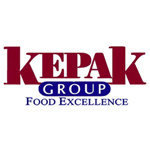 The Kepak Group sells its products to both retail and foodservice traders.